"The minimum wage is arbitrary. If it is set above the rate at which an employee is worth, that employee will be fired or the employer may raise prices to make up the difference. 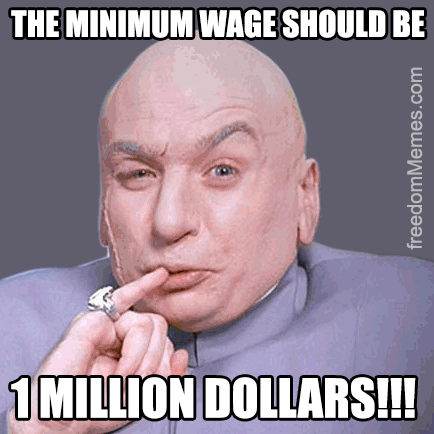 Ask a minimum wage supporter why not make the minimum wage $1 million? The same destruction that would happen then happens with a $15 minimum wage, just to a lesser degree."